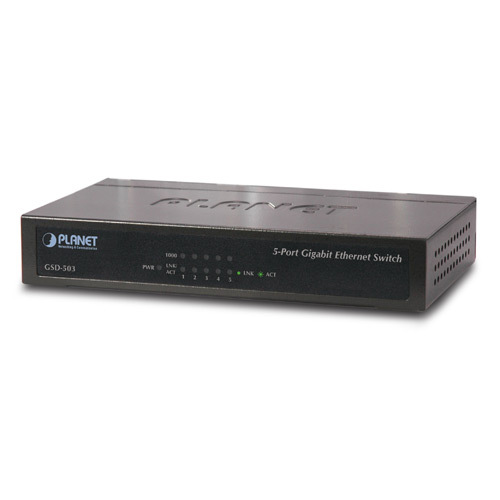 PLANET Green Networking Switch – GSD-503 is an ideal solution in line with the energy-saving trend worldwide. The GSD-503 is a 5-port Gigabit Ethernet Switch bringing both benefits of energy saving and Gigabit wire speed performance. It is specially designed for home networking, SOHOs and enterprises.